For over 45 years, Cat Pumps has proven to offer the most dependable high-pressure piston and plunger pumps available in the marketplace. Designed and built to the highest quality standards, Cat Pumps provide industry-leading life. With a performance range of 1 to 240 gpm and 100 to 10,000 psi, customers choose Cat Pumps due to the low life cycle cost, providing exceptional value over the life of the system. 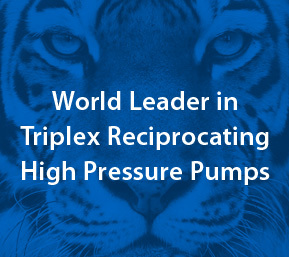 We back each of our high-pressure pumps with the industry’s best delivery, customer service and technical support. Pumps, accessories and service parts are on the shelf for 24-hour delivery. Cat Pumps (UK) is a wholly owned subsidiary of Cat Pumps Corporation. Based in Fleet, North Hampshire we hold extensive stocks of pumps, accessories and replacement parts for our range of high pressure pumps. We also design and build specialised Engineered High Pressure Pump Packages for individual customer’s requirements and have an in-house repair facility where we can provide a full overhaul and repair service. When it comes to high performance, high-pressure pumps, count on Cat Pumps to keep your equipment running. Get the best—get Cat Pumps! Contact us today for more information. For information on specific cleaning applications, pumps and accessories, please click on the link below. 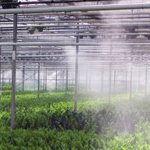 For information on specific misting, cooling and fogging applications, pumps and accessories, please click on the link below. For information on oil and gas industry specific applications, pumps and accessories, please click on the link below.